We are familiar with a common belief which says politeness goes far, yet costs nothing. A professional thank you cover letter template is a gesture of gratitude and politeness that can have a significant effect on your career. If you are sending this letter after an interview make sure you do that within 24 hours time and mention your key skills and how eager you are to work with the company. 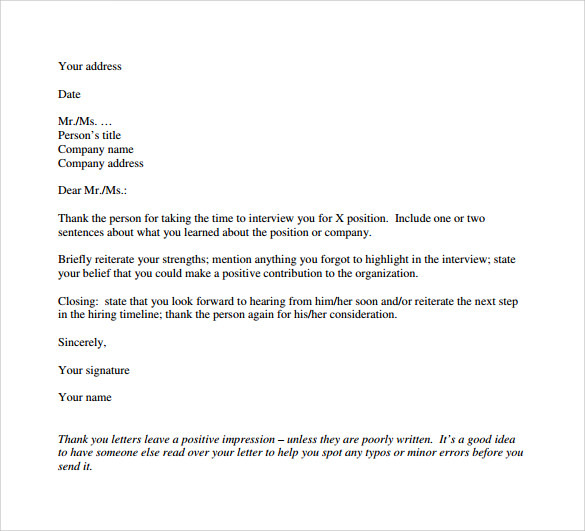 Write the letter in a professional manner and keep it simple and short. A well written thank you letter would definitely give you an edge over thousands of candidates who must have applied for the same position. 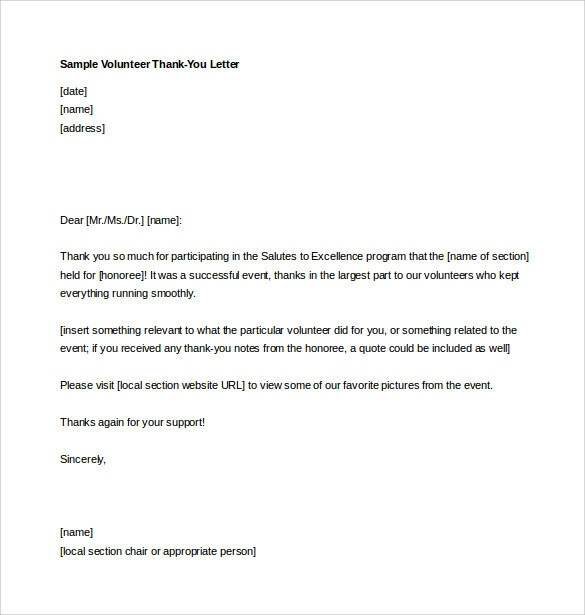 This sample of professional volunteer thank you letter free download in MS word is meant for organizations heads to thank the volunteers who participated in an event in order to make it a big success. The letter leaves immense space to describe the efforts and activities f the volunteers and expresses gratitude and honor on the part of the chief organizer. You can add or omit the last line regarding photographs as per your choice. 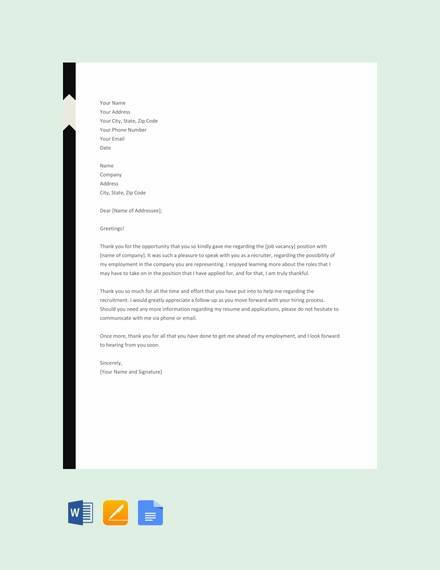 The sample of professional thank you letter for meeting PDF template is written to thank a member of an organization for taking the time out to meet the writer. The meeting in this sample is about a summer internship; however the subject can be changed as per requirement. The writer here takes the liberty of recommending his work but maintains a tone of constant appreciation for the firm’s activity and expresses his desire of being a part of it. 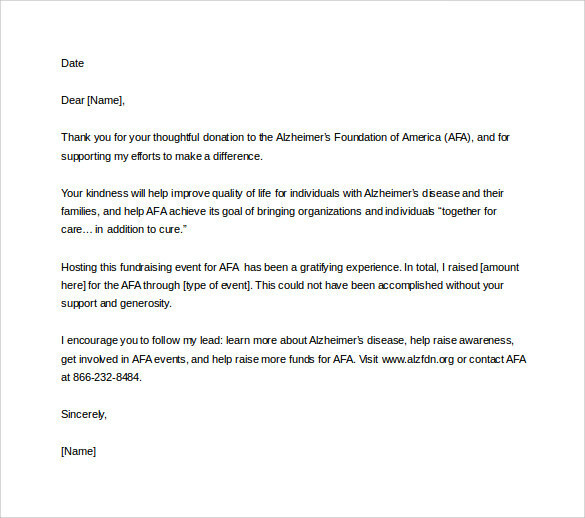 Professional thank you letter for donation is meant for expressing gratitude towards a person who has contributed for a noble cause. The letter outlines the work of the organization and gives a brief synopsis of all the work they have done or intend to do to support their cause. It ends with the link of the organization’s website where the donor can get more detailed information and financial reports. 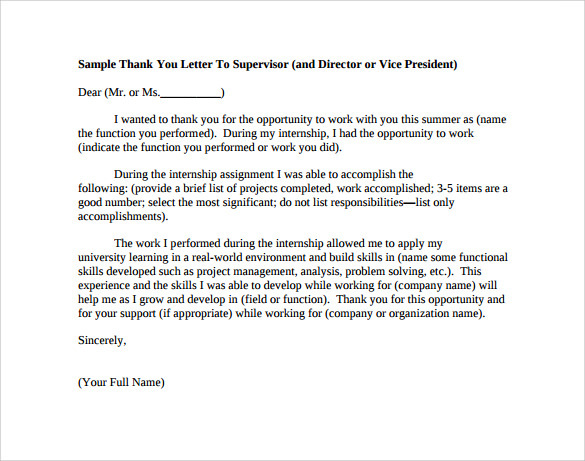 Professional thank you letters to supervisor are written by employees who wish to thanks supervisors for their experience as an intern in a company. The letter begins by thanking the supervisor for his role as a mentor and then going to explain the various things that the writer learned during this short period of time. 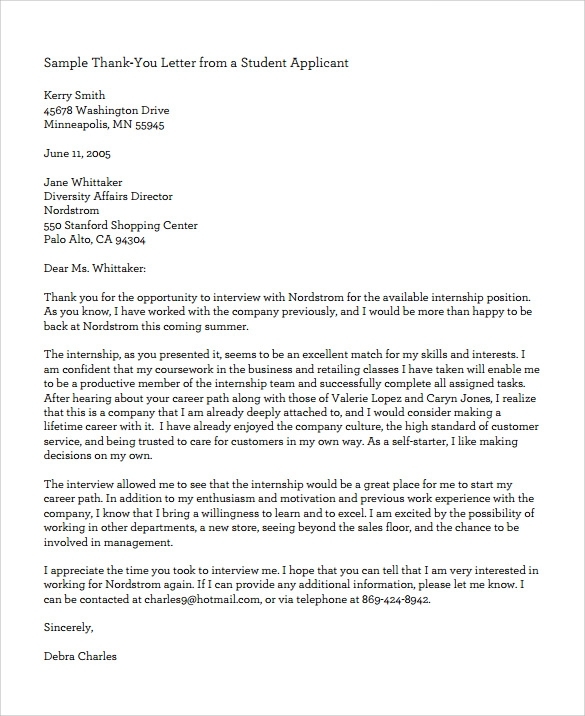 A brief detail about how this experience has helped a person to advance his career is also given to make the letter sound more authentic and real.You may also see thank you letters for promotion. 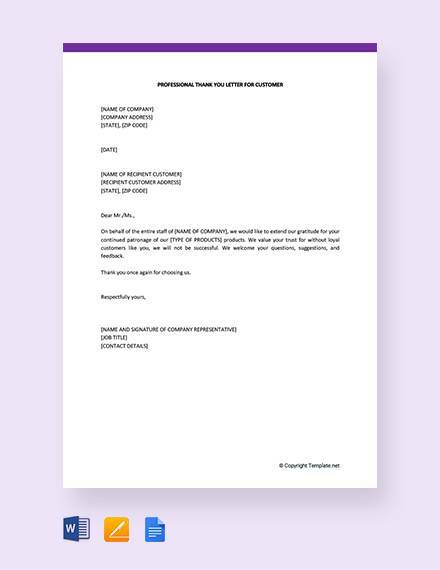 Professional thank you letter for a job interview are written by people who have just been interviewed for a particular position in a company. In the above-given sample, the writer mentions about his experience as an intern in the given company and lists down how he benefitted from his internship. 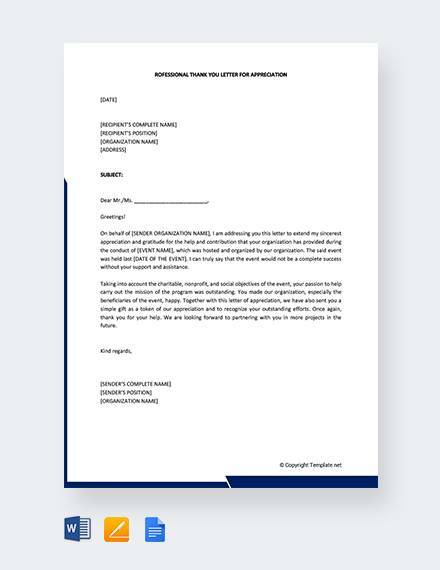 The letter concludes with the candidate expressing his love for the company and its policies and also an earnest desire of wishing to be a permanent member of the company. 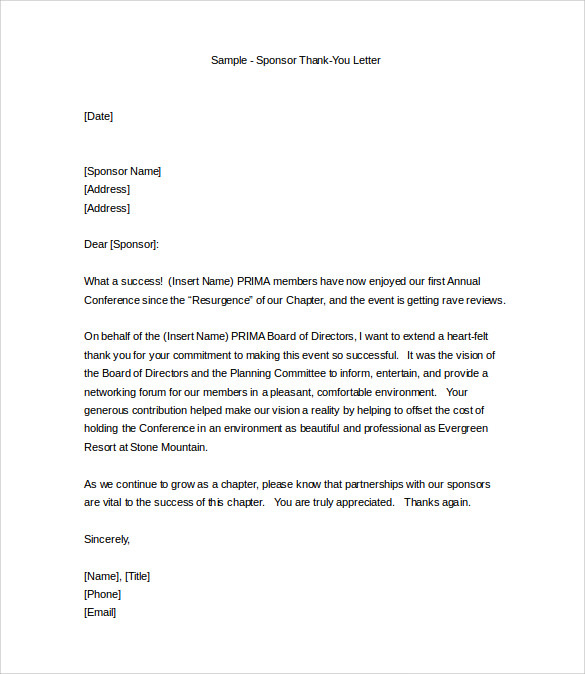 This professional sponsor thank you letter is written on behalf of an organization to their sponsors for sponsoring a particular event. The letter gives brief details about the event and about the vision of the company and ends on a note expressing their thanks for the sponsors and emphasizing on the point that a good relation with their sponsors is vital for their respective development. 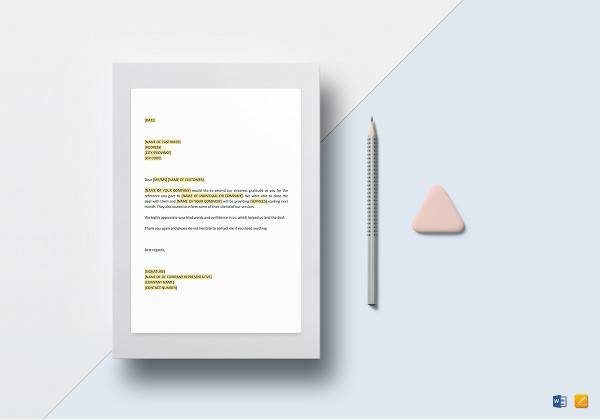 A professional thank you letter after an interview where the candidate can express his gratitude towards the board and how they have helped him to gain a new perspective about professional life. The candidate can briefly restate his area of expertise and qualifications and end the letter on a positive note expressing his wish to work with the company at the earliest. 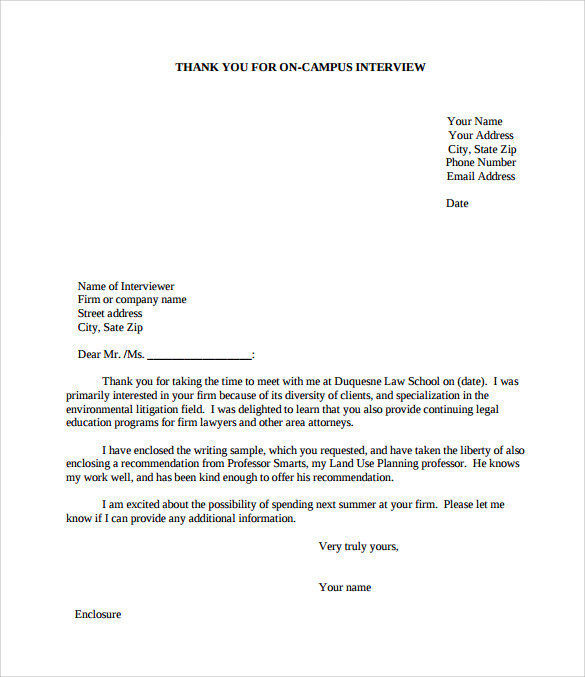 A professional post interview thank you letter is a short letter where a candidate cans directly expressly his sense of accomplishment on meeting the board members. The candidate in this sample also explains how he feels benefited with the conversation and ends the letter on a note of thanks for the company staffs for allowing him the privilege of being called for the interview. 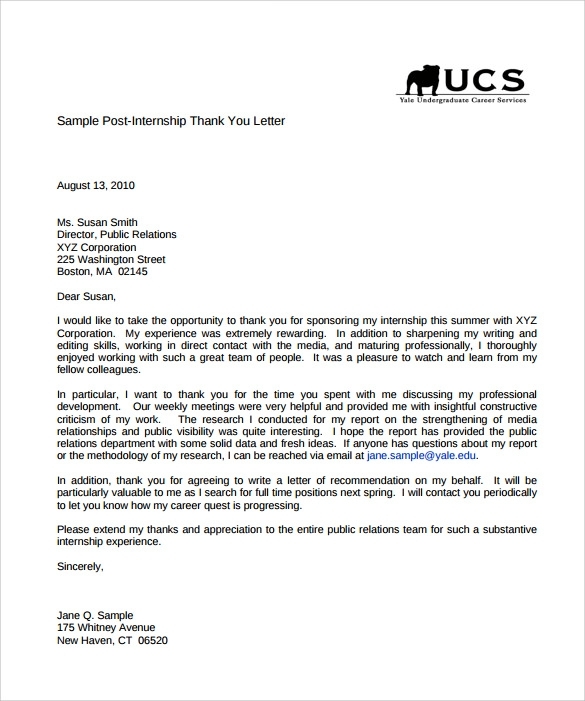 This professional thank you letter for an internship is usually sent to professors or teachers at student’s conference or seminars by the head of a school or university. 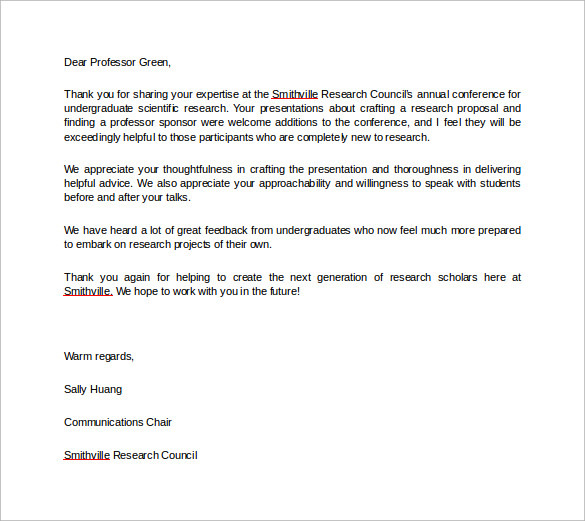 The letter stresses on the point how the students have gained from the recipients lecture and presentations and thanks him for instilling in them a sense of adventure and research. The letter ends on a positive note where the writer expresses his desire to work with the individual in the future.You may also see thank you follow up letters. 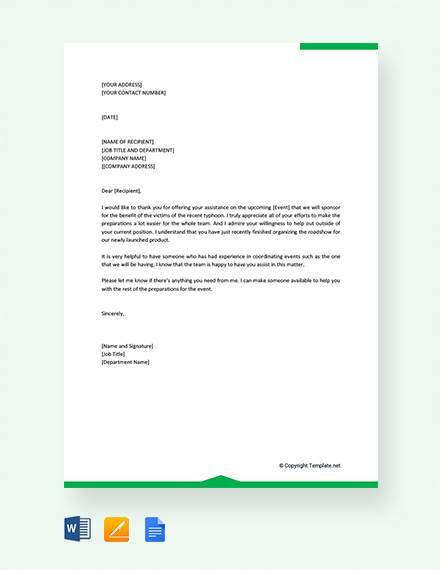 Express your gratitude in the most professional way with these standard thank you letter template. Be it for addressing professors, teachers, employers, friends, NGOs or top management of a company, you have all the options to choose from.